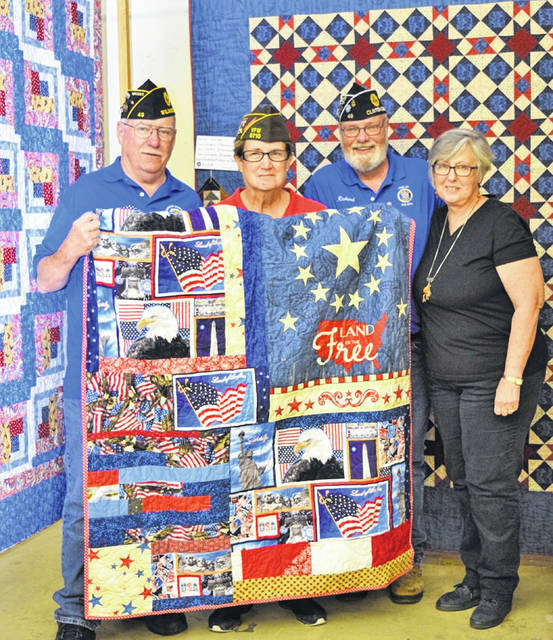 The Clinton County Quilt Guild donated two Honor Quilts to the Wilmington veterans organizations. Julie Jennings presented the quilts on behalf of the Quilters Guild. Accepting for Wilmington American Legion Post 49 are 1st Vice Commander Richard James and Adjutant Brady Stevens. Accepting for the Wilmington Veterans of Foreign Wars Post 6710 is Service Officer Leslie Rose.